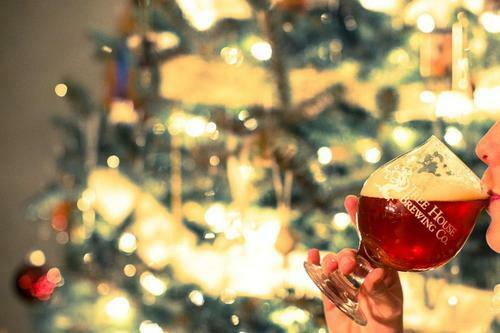 Sap and St. Nick — Tree House Brewing Co. So we’ve got a new beer called “SAP”, a 7.3% American IPA made (almost) exclusively with Chinook Hops. We crafted it to be a piney, robust accompaniment to your Christmas Holiday. We pulled a few samples tonight and we are absolutely in love with it. On sale tomorrow at 11 AM with a 2 growler limit. “Merry Mint - Our dry minted milk stout for the holidays. We have a lot to celebrate here at Tree House - Good friends, good health, and good beer. We hope you come out to celebrate with us!